Celebrate cooler days — and more time in the kitchen — with a few new fun finds that will bring more joy to your cooking and dining. Dot and Army Denim Flatware Place Setting ($42 for two, $76 for four at food52.com). Do you decant containers of milk or juice into pitchers and prefer cloth napkins at the table? 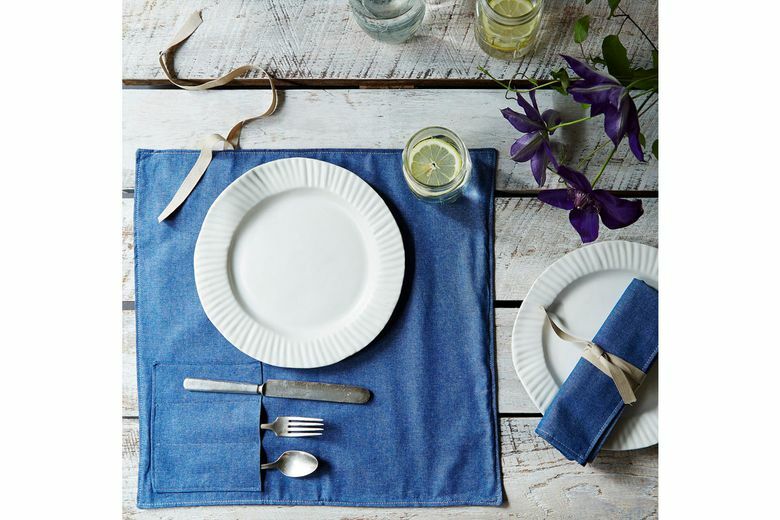 If so, these denim silverware wraps will appeal to you. They neatly hold a place setting and can also be used as napkins or place mats. Tilit Schoolyard Apron ($40–$65 at tilitnyc.com). 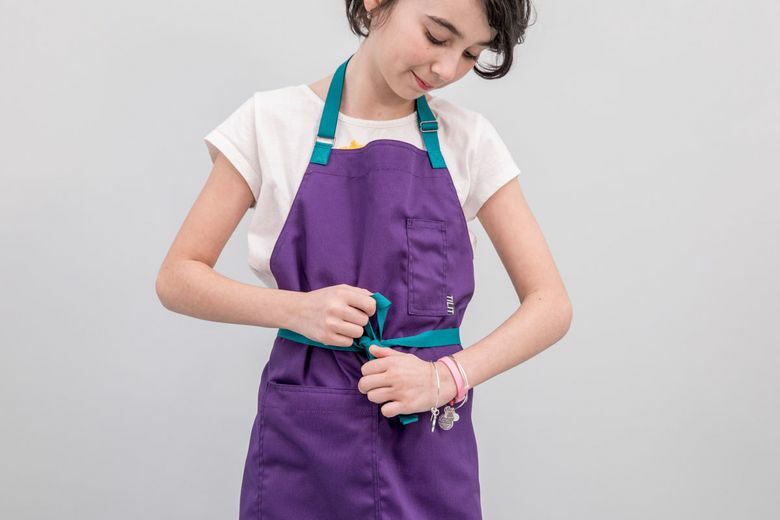 Tilit, a family-run New York company that makes aprons and other chefs’ gear, has introduced its first apron for children. All cotton, it comes in four colors (with adjustable straps in a contrasting color) and two sizes. Matching aprons for adults are also available. Island Creek Oysters Recycled Ocean Plastic Shucking Knife ($20 at islandcreekoysters.com). 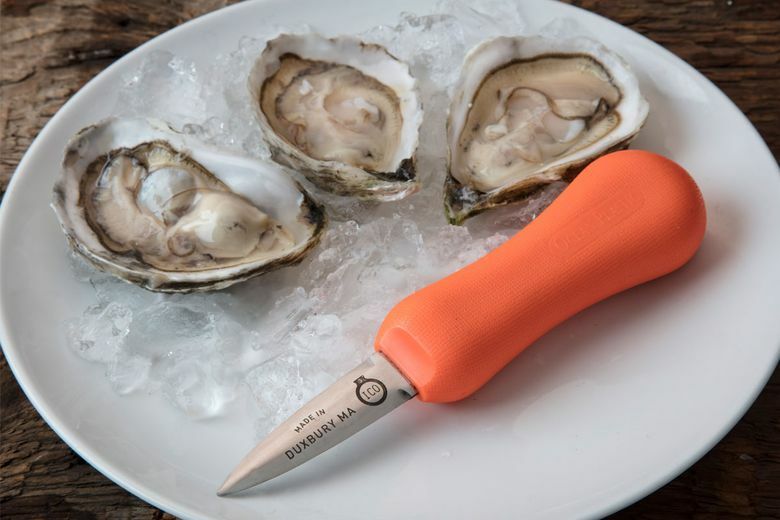 A small but noble effort to reduce the discarded plastics that litter the seashore has materialized via the orange handle on a new oyster shucking knife. The plastic, which comes from Haiti, is gathered and turned into pellets that can be used for various products. The effort not only helps the environment, but it also provides jobs for families on the island. And the knife is a very effective tool. Finex 5-Quart Dutch Oven with Cover ($300 at finexusa.com). Cast-iron cookware is in the spotlight. Having started with skillets, producers are now introducing Dutch ovens. 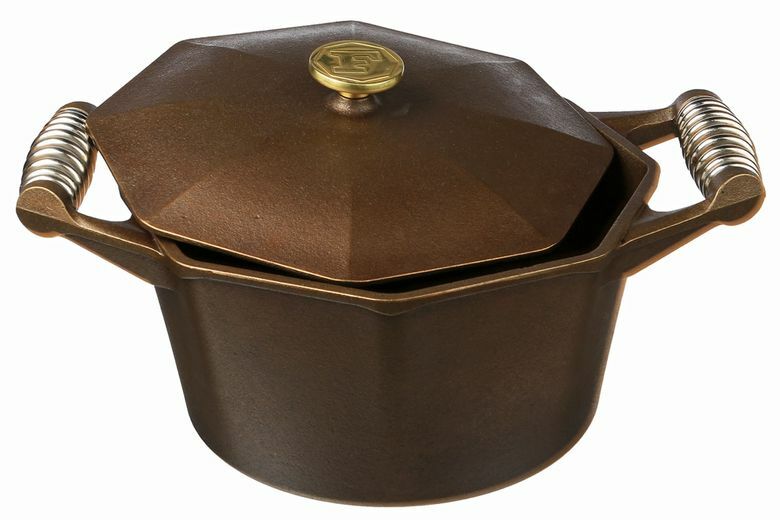 This new launch from Finex, a Portland company that makes distinctive octagonal pieces with a dark bronze finish, was fine for a test-drive pot roast, snugly holding a 4-pound piece of chuck. The angled shape, meant to facilitate pouring, proved effective, and cleanup, thanks to its preseasoned organic flaxseed oil coating, was a breeze. Material The Fundamentals ($175 at materialkitchen.com). Manufacturers are looking to the eyewear company Warby Parker as the prototype for selling cooking tools directly to the consumer. 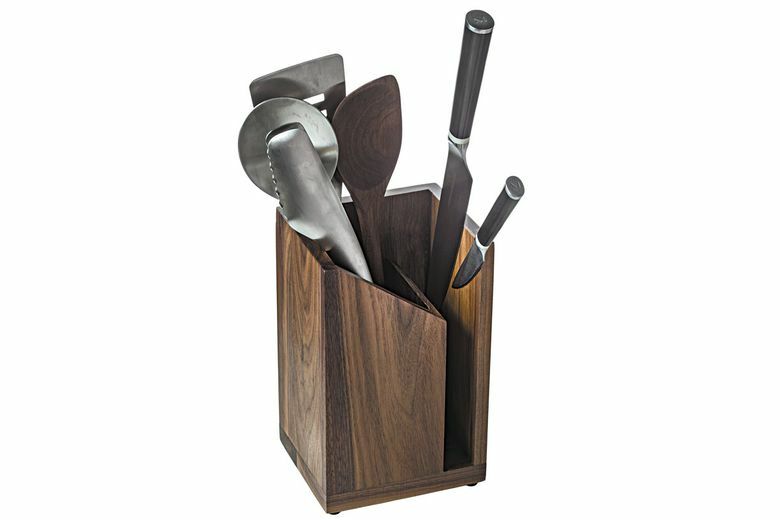 A new example: this set of utensils that includes a utility spoon, a sturdy spatula, an angled wooden spoon and tongs with a cunning one-handed locking system, all resting in a compact countertop holder. One side of the storage box is magnetic, to grab the 8-inch chef’s knife and 4-inch parer that are also included. 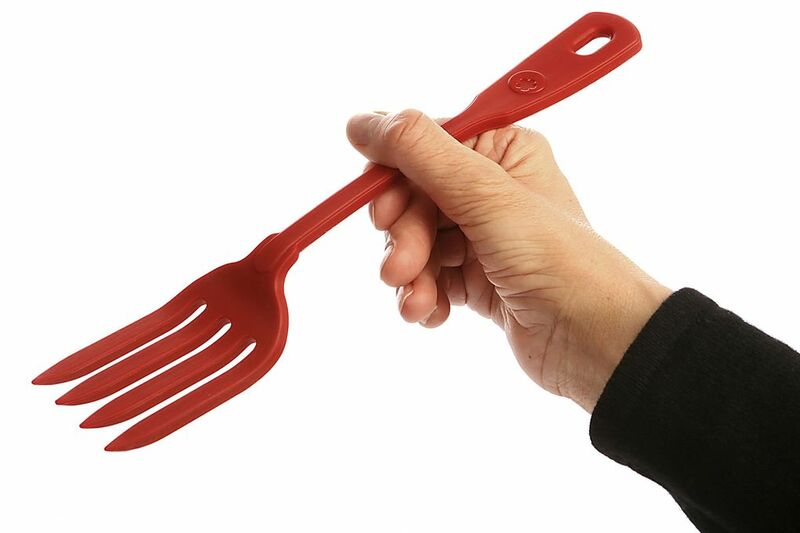 Sur La Table Silicone Ultimate Fork ($10 at surlatable.com). You need one or more big spoons in the kitchen. But a fork? Usually kitchen forks are two-pronged and fairly narrow, meant for lifting a hunk of meat or poultry or to assist with carving. This new big utility fork from the Seattle-based kitchen store fills a void. It’s useful not for spearing but for mixing, mashing and stirring, and for making pastry, scrambled eggs or guacamole. The material is heat-resistant silicone. You won’t let it out of your sight. Simon Pearce Alpine Whiskey Glass ($75 at simonpearce.com). Here’s a new way to cool that shot of single malt, añejo tequila or sipping rum. 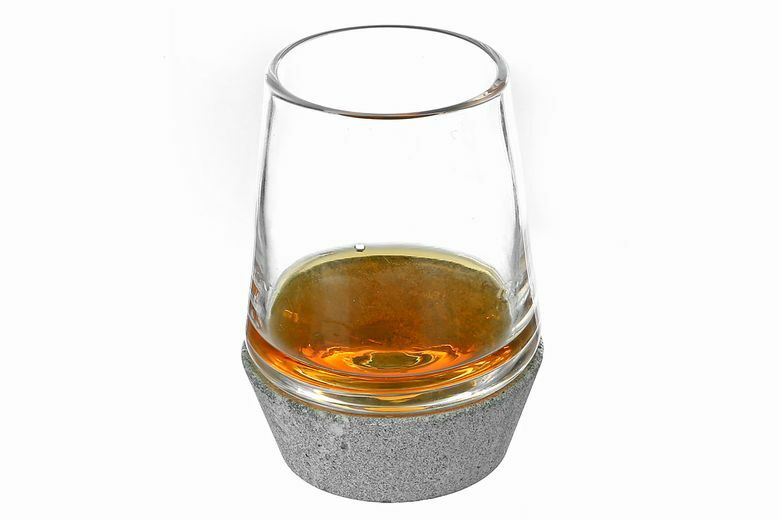 This handblown whiskey glass has a soapstone base, made in Finland, to chill it. Put the base in the freezer for a few hours, and it will be ready to cradle the glass and cool your drink. Rabbit Pinch Foil Cutter & Bottle Stopper ($10 at rabbitwine.com). Rabbit, a company that specializes in wine and bar accessories, has come up with a gadget that handles two wine tasks in one gadget. In the foil removal department, it does a better job than most. You put the rubbery cylinder over the neck of the bottle, forcing it down. Squeeze it and turn the bottle. That’s it. 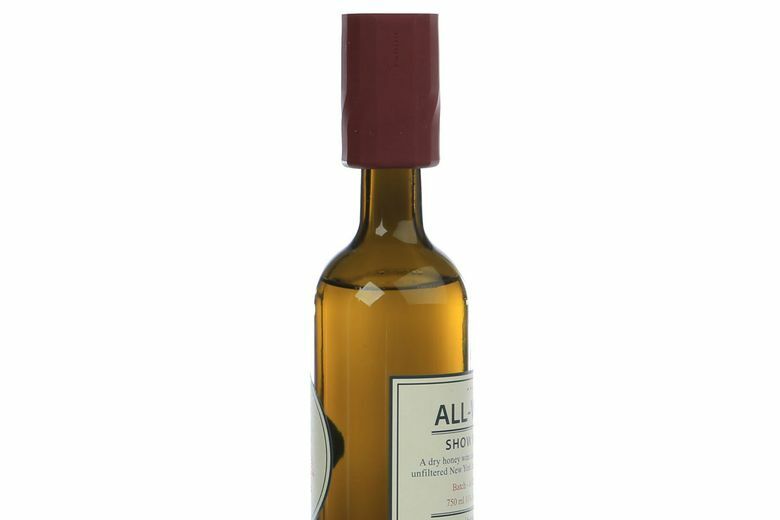 Left on top of the bottle, it creates an airtight seal.